It's a big one! 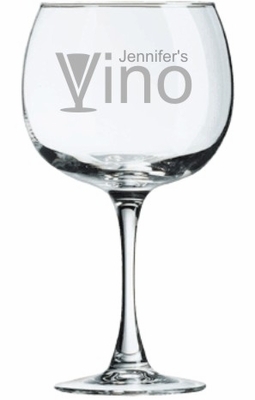 20 oz of wine can fit in this personalized wine glass. No worries, your name is on it, so no one will take your wine! Remember� you found the 20oz. Personalized Vino Glass at TShirtHub.com, where high quality came at a low price.